Easy, durable and ready to rock, the STH2 WTR 16 Bindings were made to handle everything that you can. Designed specifically with wide powder, park skis and pipe skis in mind, the STH2 WTR 16 is that perfect freeski binding for more aggressive skiers. 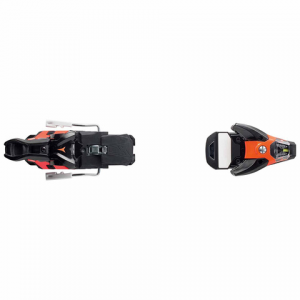 The STH2 WTR 16 Bindings feature a burly, high impact steel housing that can with stand even your roughest ski days, an oversized platform that lets you direct more power to your skis and self retracting freeski brakes that eliminate hang ups and drag on the powder for switch landings.